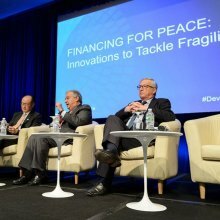 “This means strengthening States, strengthening institutions, strengthening civil societies [and] combining the peace and security approach with the inclusive and sustainable development approach and with human rights,” explained Mr. Guterres, speaking at a World Bank-European Union event in Washington DC, where the Bank and the International Monetary Fund (IMF) are holding their annual Spring Meetings. 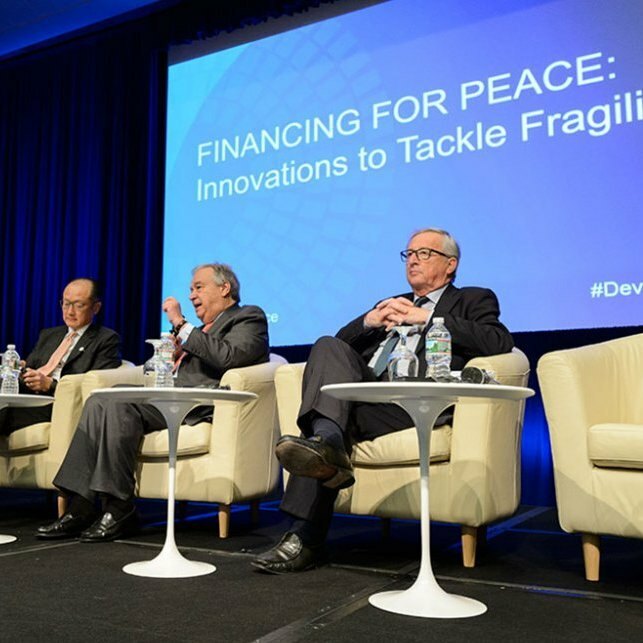 In his remarks at the panel discussion on , the UN chief noted that the traditional forms of development aid are not enough and said that new approaches that create the conditions for investments in building resilience of communities and addressing fragility is needed. He also praised the World Bank for the innovations it has already in place in countries like Jordan and Lebanon, to help them cope with the refugee crisis in the region. “In my opinion, this is essential and, [given the scale of needs] should also include the private sector,” he said, adding that it is essential to find ways to divert the massive use of resources in managing crises to what is necessary to do to prevent them and to build the capacity of societies to solve their own problems. Prior to attending the panel discussion, Secretary-General Guterres met with top United States officials, including President Donald Trump and National Security Advisor General H.R. McMaster at the White House. In a time of complex development challenges, the investments we make today in women’s, children’s and adolescents’ health and wellbeing will help build the peaceful, sustainable and inclusive societies we have promised to achieve through the Sustainable Development Goals (SDGs),” affirmed Mr. Guterres. “Peace cannot exist without development and development cannot exist without health and wellbeing, for healthy and empowered women, children and adolescents can bring about the change needed to create a better future for all,” he added. As a global multi-stakeholder partnership, Every Woman Every Child, launched in 2010, provides a unique platform to unite stakeholders across sectors to deliver on an integrated agenda for women’s, children’s and adolescents’ health and wellbeing.